Rio Tinto (ASX, LON:RIO) is said to be weighing an investment in Chile’s Chemical and Mining Society (SQM), the world's largest lithium producer, becoming the latest in a long line of companies interested in grabbing a stake in the Santiago-based miner. According to Chilean news site El Mostrador (in Spanish), the Anglo-Australian giant is eying the 32% interest in SQM that Canada’s Potash Corp. of Saskatchewan (TSX, NYSE:POT), the world’s largest producer of the fertilizer by capacity, has to sale to be allowed to merge with smaller rival Agrium (TSX, NYSE:AGU). Canada’s PotashCorp must sell its interest in Chile's SQM — worth about $4.5 billion at current market values — within 18 months of merging with Agrium, and Rio wants it. The Saskatoon-based potash miner is working with Goldman Sachs and BofA Merrill Lynch to sell its stake in SQM (worth about $4.5 billion at current market values), and so fulfill some of the conditions imposed by regulators in China and India to approve the company’s friendly merger with Agrium. Rio's current incursion in the lithium market is mostly limited to its 100%-owned project in Jadar, Serbia. That’s why purchasing a stake in SQM would not be inconsistent with Rio's current strategy, said Investec in a note to clients, adding that such move would only provide a foothold in a sector where the company has some exposure, but with Jadar still many years away, "if it is developed at all". Sources familiar with PotashCorp’s stake sale said in September that US chemical company Albenarle Corporation (NYSE:ALB) had already expressed its interest in acquiring a piece of SQM. If successful, such deal would give the Charlotte, North Carolina-based firm a leading position in Chile’s lithium sector, something the country’s government would try blocking at all costs. Laws enacted in the 1970s and 1980s classify lithium as a “strategic” commodity for Chile on the grounds it can be used in nuclear-fusion power plants. 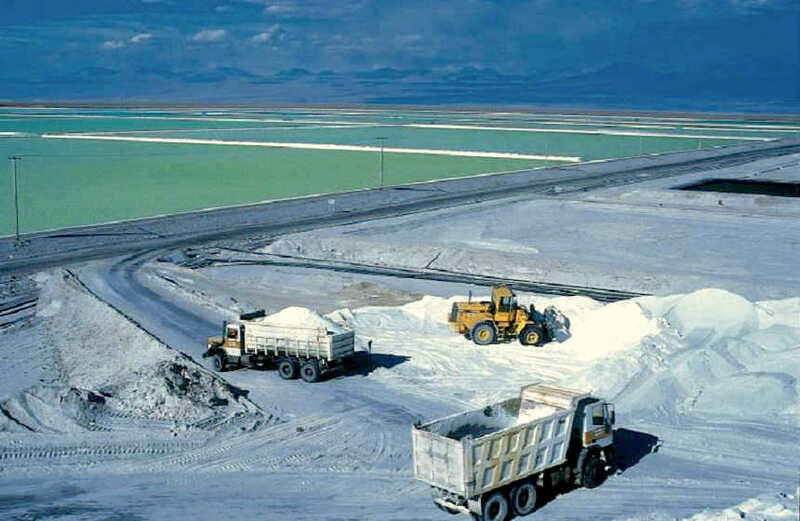 While the South American nation is very unlikely to build one of those facilities any time soon, controls on lithium production remain and only two companies — SQM and Albemarle — are currently allowed to mine the white metal used in electric car batteries. Meanwhile, the PotashCorp-Agrium merger is moving forward with the companies saying Tuesday they expect the deal close by year-end. To expedite the process, Agrium has agreed to sell its Idaho phosphate production facility for $100-million to fertilizer company Itafos. The move aims to address concerns of US regulators about the tie-up. The companies said that the new company, to be called Nutrien, would create the world’s largest potash miner worth about $36 billion, including debt. The merged firm is expected to achieve $500 million of annual operating synergies. Nutrien will also be the second biggest producer of nitrogen fertilizer with operations in 18 countries and more than 20,000 employees worldwide.